The 1.2 TDI engine found in the Volkswagen Polo, SEAT Ibiza, Skoda Roomster and Skoda Fabia was also fitted with software to cheat emissions tests. As a result, these will be included in the huge recall which is set to commence in January next year. Until now, the recall only involved the EA189 engine - which is the 1.6 TDI or 2.0 TDI engine produced from 2009 as an EU5 compliant unit. 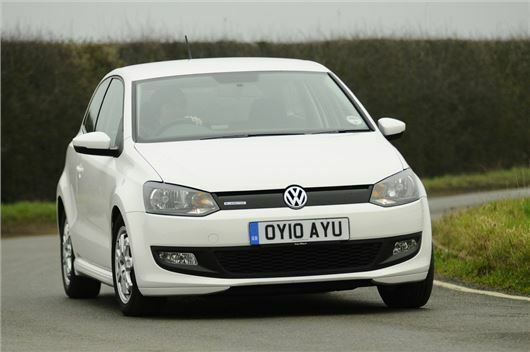 The 1.2 TDI is a three-cylinder unit - codenamed EA111 - which wasn't thought to be affected. But it was also fitted with software to reduce emissions levels under test conditions. You can find the full list of all the affected cars from the various brands - which includes Volkswagen, Volkswagen vans, Audi, SEAT and Skoda. Volkswagen has set up a dedicated page for owners to find out if their car is one of those affected. You will need your VIN number and you can find the site here. The question many will now be asking is, will more diesel engines be involved? Such as the larger 2.7-litre and 3.0-litre V6 TDI units used in cars like the Audi A6, Volkswagen Touareg and Porsche Cayenne. It's still not clear exactly what the recall will involve. Volkswagen has admitted that cars with the EU5 EA189 engines are fitted with a so-called 'cheat device' to give lower NOx emissions levels when under test conditions. It now appears a similar device is fitted to the EA111 engine.